This week, Your News to Know rounds up the latest news stories involving the gold market and the overall economy. Stories include: Why gold could be heading higher in 2017, Trump may ignite safehaven demand for gold, and Trump’s pick for budget chief loves the yellow metal. Analyst Frank Holmes recently noted that gold’s ups and downs are the perfect example of how 2016 was a roller coaster year. After gaining around 30% in the first part of the year, gold fell in the last half in large part due to a stronger greenback. 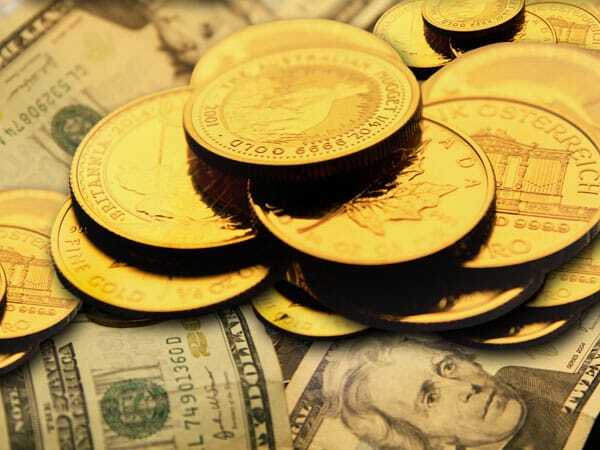 However, as Holmes explains, gold’s current downswing is merely an opportunity to accumulate – as was the case in the past, the metal dipping so low against the dollar usually signals that it will soon rebound. Soaring 2-year Treasury yields are another asset slated for a correction, albeit a different one: considering how overbought they’ve looked, Holmes asserts that the math suggests a nearly 90% probability of a correction over the next three months. Thanks to the inverse relationship between gold and yields, any fall in yields will likely be followed by a rise in gold prices. The U.S.’ outstanding debt of almost $14 trillion – with net interest payments threatening to reach $185 billion a year by 2026 – is another reason for Holmes to be bullish on gold in 2017. Then there’s the issue of an ever-dwindling mine supply and “peak gold”. The yellow metal’s rarity is one of the key reasons why it has been valued so highly across the globe throughout history; Holmes points out that gold makes up only 0.003 parts per million of the earth’s crust. And with the number of newly-discovered gold deposits down 85% since 2006 and annual production expected to peak in 2019, followed by a steady decline until at least 2025, we might very well see prices go up as supply becomes restricted. With so much said about Donald Trump’s tweeting, it’s easy to overlook the serious ramifications that the President-elect’s use of the platform could have on the markets. In fact, Trump’s Twitter feuds may be marking a new era for gold as a safe haven. O’Byrne was among the many analysts and traders surveyed from Singapore to New York in regards to their outlook on gold in 2017. More than two-thirds stated they are bullish on the metal; while the median year-end forecast was $1,300 with the year’s peak seen at $1,350, O’Byrne and another analysts felt the metal might reach $1,600 by the end of 2017. An increase in bullion demand could come from other fronts as well. A possible trade war between America and China, allegations of a Russian hack of U.S. political parties, complications over Brexit and a potential rise in nationalism amid elections in France, Germany and the Netherlands are all concerning factors that could spur safehaven demand. Speaking about the upcoming elections, Yamana Gold CEO Peter Marrone said that “there are nationalistic tendencies, more isolationist tendencies” in a growing number of countries. “That will create geopolitical and socio-economic volatility, perhaps instability, certainly risk”. With this in mind, it’s no surprise that 42% of the respondents in a Bloomberg Intelligence poll conducted on November 10th predicted that gold will be the best-performing metal in 2017. Furthermore, Ronald Stoeferle, the most accurate precious metals forecaster tracked by Bloomberg last quarter, said the metal will rally to $1,422 on the back of the Fed’s dovish tone, which could help to accelerate inflation. Recent financial disclosures from Mick Mulvaney, Trump’s pick to lead the Office of Budget and Management, indicate that the future budget chief is a big believer in gold. Mulvaney owned $50,000 to $100,000 in precious metals at the end of 2015 in addition to dealings with various gold and silver miners. The financial reports, however, are only one of the signs pointing towards Mulvaney’s love of gold. Talking to the John Birch Society, a group that believes the only legal forms of currency are gold and silver coins, Mulvaney made no effort to hide his criticism of the Fed, stating that the central bank has “effectively devalued the dollar” and “choke[d] off economic growth”.